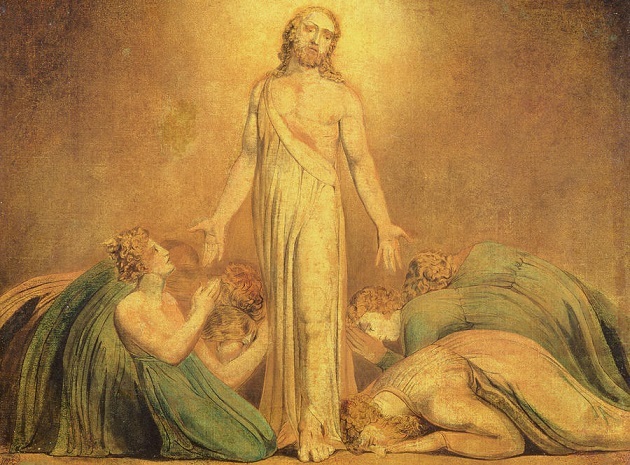 Christ appearing to the Apostles after the resurrection, by William Blake. “Why is mythology everywhere the same?” This may sound like a simplistic judgment – there are so many myths across history, from the Hindu Vedas to the Nordic tales and the Babylonian Gilgamesh Epic. Campbell’s major book, The Hero with a Thousand Faces, plots these common themes in the universal figure of the hero, whose adventures follows similar steps even in the most varied cultural settings: he receives a call to adventure, and after initial reluctance, he crosses the threshold to his journey. Here he faces numerous trials and meets forms of gods or goddesses, who mentor him and help he understand his mission, until he returns to reality with a message to proclaim or a mission to fulfill, and saves the community from its perils. (When George Lucas crafted the story for Star Wars and its hero Luke Skywalker, he leaned heavily on Campbell’s reconstructed hero’s journey). Luke Skywalker and Yoda, in Star Wars. Ok, these stories originate in our minds… but the question still begs itself: why? Why does the human mind keep producing these stories? Why are myths everywhere, and why are they so similar? What do these archetypes point to? I agree. That hard-boiled atheist is just right. How else would you explain variations of same stories cropping up again and again everywhere? They must be reflections, fragments of the Great Story the human psyche captures and different peoples emphasize differently. They are echoes, daydreams that emerge in fantastic forms from the unconscious, but which articulate the central themes of the human drama – our ideals, perils and longings for our Savior –, packaged with the infinite creativity of the human genius and its multiform cultural riches. So why are myths so similar? Because they resemble the history of the universe, the drama of our creation, fall, and God coming to rescue us. They sprout little curious buds, small insinuations in delicate poetry, that came to full bloom when eternity entered time, when God became man, and the grandiosity of the myths met the ordinariness of history, and the Dying and Reviving God really did die on a cross in a Friday afternoon in Jerusalem in the first century, and revived on the early hours of the following Sunday. The grand plot of myth took place in history, and our stories cannot help but echo the universe’s defining moment. Joseph Campbell, The Hero With a Thousand Faces (Novato, Calif.: New World Library, 2008), 1-2. C. S. Lewis, “Modern Theology and Biblical Criticism”, in Christian Reflections (London: Geoffrey Bles, 1967), 155. 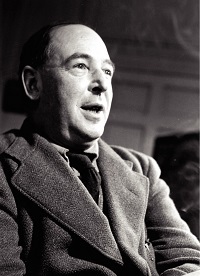 C. S. Lewis, Surprised by Joy: The Shape of my Early Life (New York: Hancourt, 1955), 235.